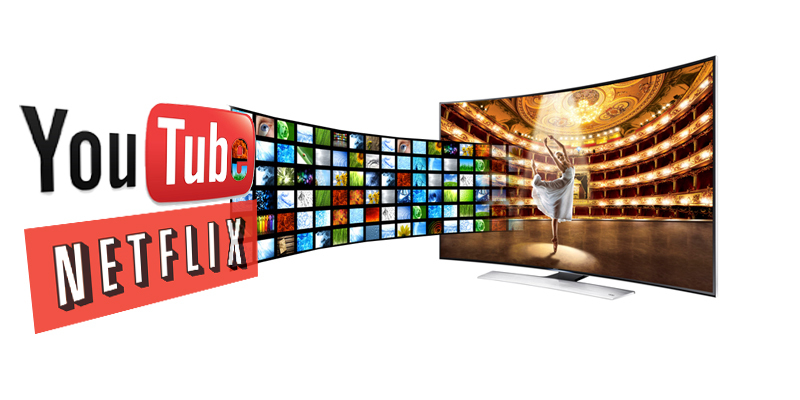 Why Are There Internet Speed Requirements For Streaming Media? Streaming media is becoming commonplace in the household. It is much easier than waiting to download the whole movie before watching it, or digging through a pile of Blu-Rays to find the movie you want to watch. With streaming you just search for the media then hit play. There are some requirement though, the biggest being the speed of the internet connection. It has to be fast enough to stream the amount of data needed to watch the video in the resolution selected. The minimum requirement depends on the length and resolution of the file. How the file is encoded, more commonly referred to as the file type, is also important. For example; A one-hour 720p video in the MPEG-2 standard might be 2.7 GB while the same video in one of the current video standards, H.264/Advanced Video Coding (AVC), could be almost 13 GB. Thus, differences in file size could be one explanation for why different streaming services have different speed recommendations for streaming their HD content. NOTE: When you're streaming HD content, also consider whether the connection is wired or wireless. The connection speed could drop over the connection if the Wi-Fi standard isn't fast enough. You'll want to avoid slower 802.11b/g connections, and use current 802.11n which is the ideal choice to keep up with faster broadband services. 802.11ac is the next generation of Wi-Fi that our TVs do not currently support.